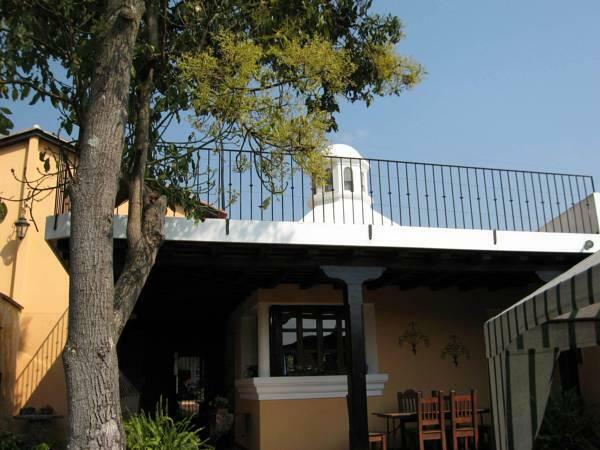 ﻿ Best Price on La Casa de Don Pedro in Antigua Guatemala + Reviews! La Casa de Don Pedro is located on the East side of Antigua next to the historic Casa Santo Domingo Cultural Center and 10 minutes' walk from the Antigua Central Park. It features colonial-style rooms, free Wi-Fi, as well 2 beautiful gardens. The rooms with Colonial décor offer designer bedding and linen, big windows, wardrobe, flat-screen cable TV and garden views. The bathrooms are private and come with a shower and free toiletries. A homemade, Guatemalan breakfast is included in the room rate as well as fresh fruit, coffee, juice and tortillas. There are restaurants, bars and cafeterias within 656 feet. Massage service and laundry service are also available. Activities such as volcano and coffee tours can be arranged as well. Guatemala City is 22 mi away and La Aurora International Airport is 40 minutes’ drive away. Shuttle service is available upon request.